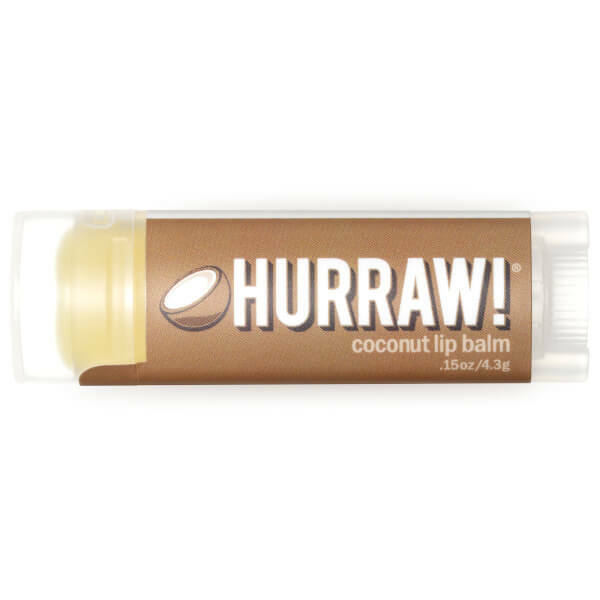 Discover a best-selling balm with the Hurraw! 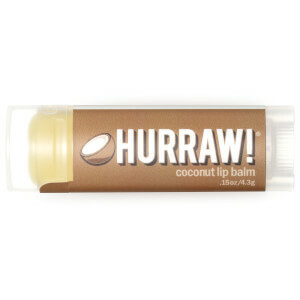 Coconut Lip Balm; an ultra-hydrating formula that cares for skin using premium organic, vegan and raw ingredients. Evoking thoughts of a tropical paradise, the creamy chap-stick envelops lips in a toasty coconut scent, without being overly beachy. The rich formula is infused with Jojoba Seed Oil, Cocoa Seed Butter and Coconut Oil, which work harmoniously to treat lips to a veil of nourishing and long-lasting moisture. Both rich and raw, the coconut lip balm is the perfect size for ensuring lips stay comfortable whilst on-the-go. Prunus Amygdalus Dulcis (Sweet Almond) Oil, +Euphorbia Cerifera (Candelilla) Wax, *Cocos Nucifera (Coconut) Oil, *Simmondsia Chinensis (Jojoba) Seed Oil, *Theobroma Cacao (Cocoa) Seed Butter, *Ricinus Communis (Castor) Seed Oil, Olea Europaea (Olive) Fruit Oil, Organic Flavor, Tocopherols (Sunflower). *Organic & Cold Pressed.